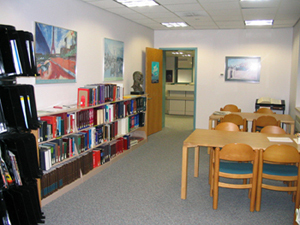 The Health Sciences Library of the Nathan Kline Institute offers an array of mental health and biomedical information resources in both electronic and print formats. The research-oriented collection is particularly strong in psychiatry, neuroscience, psychopharmacology, and the history of mental healthcare. 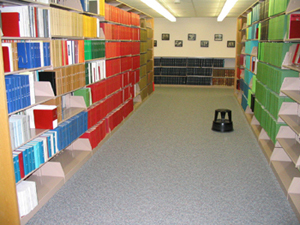 It includes access to many online journals and an extensive archive of bound journals and books. The NKI Library is one of the best sources for psychiatric information in the Hudson valley region. The Library's primary mission is to fulfill the information needs of the NKI research staff and, secondly, of the clinical and administrative staffs of the Rockland Psychiatric Center (RPC) and the Rockland Children's Psychiatric Center (RCPC). The Library is also open to the public, and the staff strives to provide accurate and efficient access to mental health information to anyone who needs it. A professional librarian is on hand to answer reference questions and to perform computer searches. Computers are also available for patron use. Through participation in the DOCLINE and OCLC interlibrary loan networks, nearly any published document not owned by the Library can quickly be obtained. Alerting services are available for patrons who would like to keep abreast of the literature on a particular topic. Our Family Resource Center provides materials especially for families and friends of the mentally ill.
A searchable database of NKI faculty publications is maintained by the librarian (intranet-only access). All services are available to NKI, RPC, and RCPC staff. For patrons who are not affiliated with these institutions, some services may not be available. Anyone may use Library materials on site (appointment recommended). For further information, contact Stuart Moss at Moss@nki.rfmh.org or (845) 398-6576.